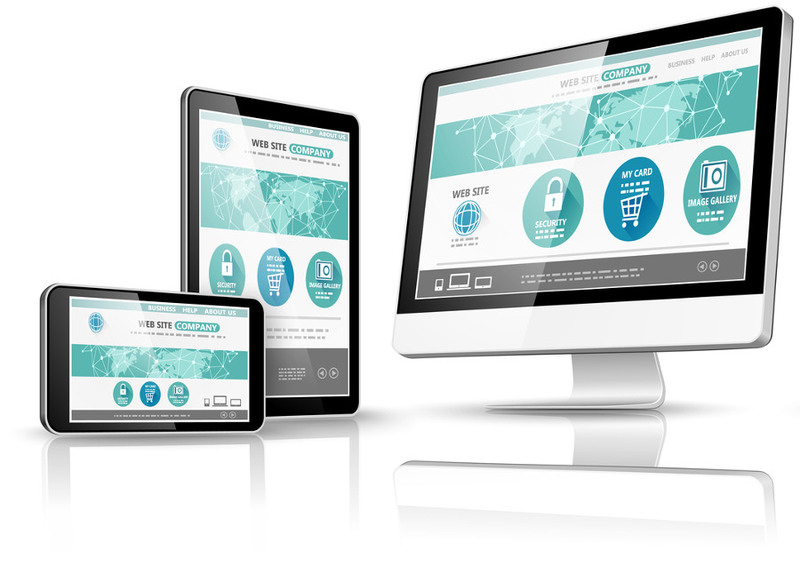 Whether you need a simple "no thrills" web site or a full-blown web application suite with back-end database, secure site certificate, and eCommerce shopping cart & payment solutions, we can design & build your project from conception to completion. Integrating a database with your web site provides almost endless possibilities such as client and admin login abilities, tracking visitors, workflow, sales/orders, inventory & payments, accounting & taxes, product pictures and descriptions, email interest/newsletter lists, and so much more. Whether your clients purchase via your web site or not, having your accounting built into the back-end of your site will enable you to generate invoices & statements, track profit & loss, store expenses & payment information, view receivables, send out automatic email notices, and help at tax time! We can develop your site so that it generates PDF documents automatically on-the-fly. Ideal for invoicing, statements, orders, or generating any kind of "fill-in-the-blank" forms or documents. If you're really adventurous, we can have your site generate the PDF and attach it in an email to clients. Almost any site that allows order placing will need the ability to accept some form of payment. Whether the payments are for orders placed via your shopping cart, membership fees, subscription dues, or donations, we can implement both credit card gateways and/or crytocurrency payments such as Bitcoin. Ideal for appointment tracking or upcoming events. Allow your clients to book appointments via your site and have the appointments add to your google calendar automatically. We can program the site to allot only available time slots and, in the case of service calls, even calculate the mileage between visits. Allows your site users to upload relevant documents. Perhaps some completed forms, or images, or pretty much anything else. We can implement the upload facility to only allow certain kinds of files, certain sizes, multiple files at once, and even do on-the-fly virus & malware checks for security. Bar codes are excellent for tracking inventory, workflow and production stages. Giving each order a unique code, your staff can scan the code during each stage of the order. With the advent of 3D "QR" codes, you don't even need expensive equipment since any modern smart phone can scan the code. Perhaps you would like to provide your site visitors with periodic or permanent coupons for offers and discounts. We can program your site so that you set the deals and your "coupon section" automatically updates with the relevant information for the chosen time span. Allow your clients to rate your products and/or services and even leave comments and reviews. Ratings and reviews left by clients can be unmoderated (added instantly) or moderated by an administrator. Alternatively, we could simply add your favorite client testimonies for the world to see. 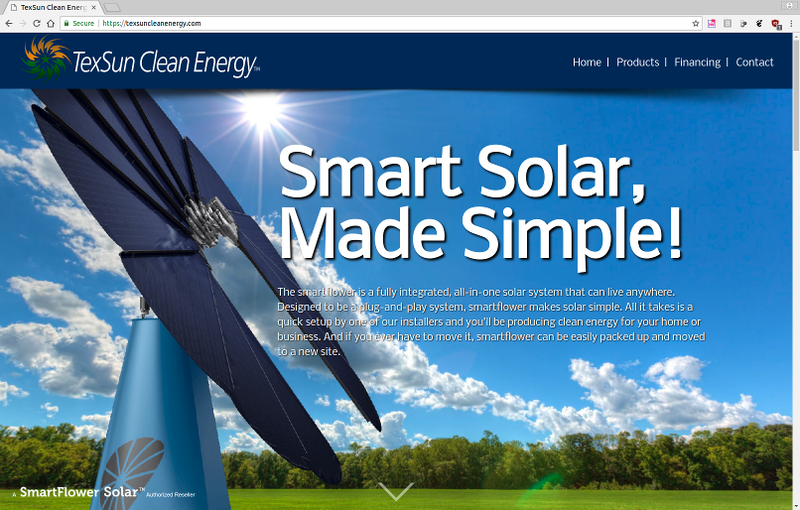 TexSun Clean Energy specializes in Solar and other clean energy products. Based in Boerne, Texas, TexSun is an authorized SmartFlower reseller and installer. The SmartFlower system is TexSun's flagship product—consisting of several solar panels which automatically unfold and open when the sun rises in the morning, then tracks the sun during the day before folding back up at sunset. TexSun also offer solar systems designed to harness the sun's power on car ports and other roofing. All solar systems sold and installed by TexSun may be combined with UPS battery systems for off-the-grid applications.